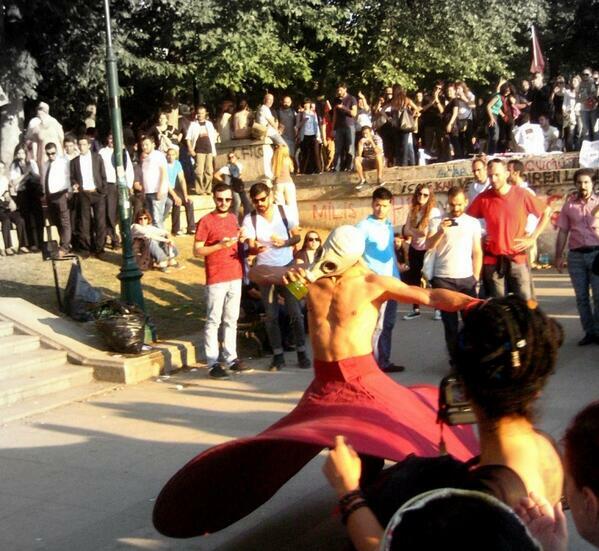 These are the quirky, tired, and dramatic faces of Turkish activism. 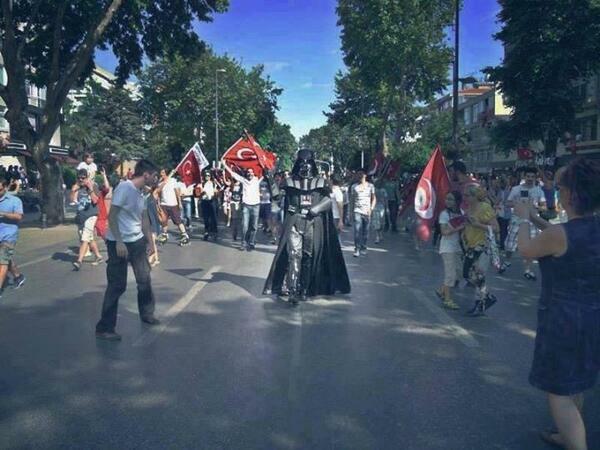 Turkish sense of humor.. It would appear they've got some..
And there are Guy Fawkes masks. 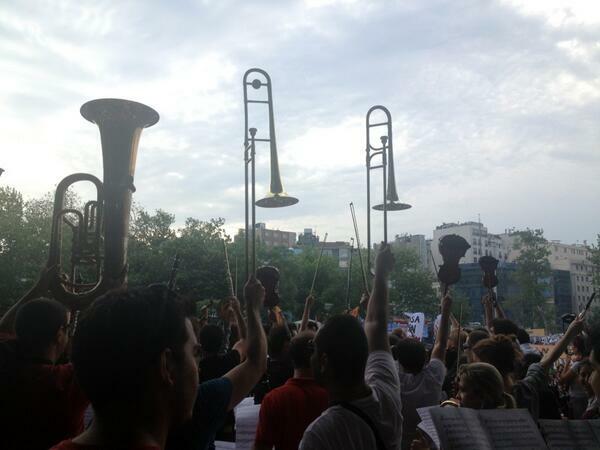 There are musicians wearing Guy Fawkes masks. And a musician who marched, guitar in hand. 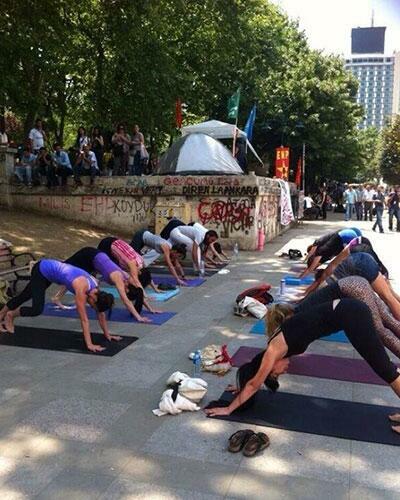 Gezi Park&#39;ta yoga yapan direni&#x15F;&ccedil;iler. 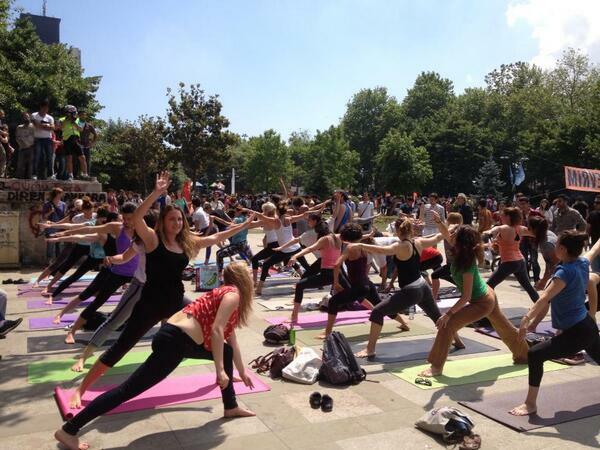 Poziyonun ad&#x131; "Altayl&#x131; SCD"
Gezi Park'ta yoga yapan direniÅŸÃ§iler. Poziyonun adÄ± "AltaylÄ± SCD"
And there is a library. 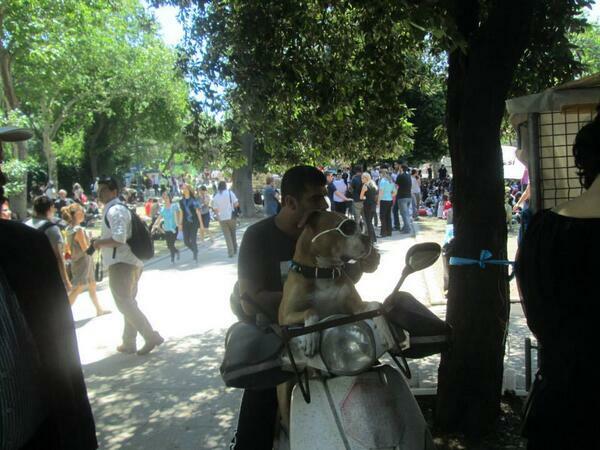 Like this one in sunglasses that rides a motorcycle with his protester human. Or this dog that would rather have a park than a mall. 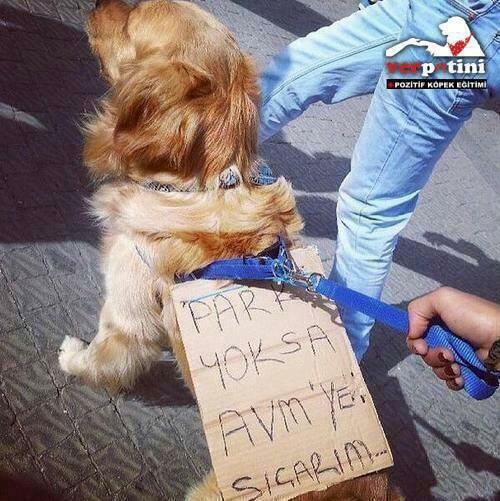 Or this dog that understands the importance of a clean Gezi Park no matter how vicious the protesting becomes. 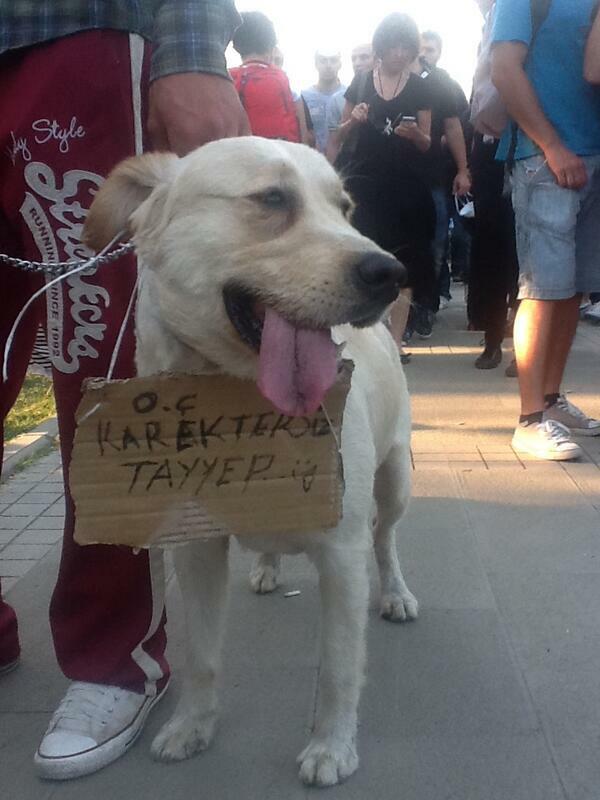 There are dogs that are being protected from tear gas. And some that became more active than others. 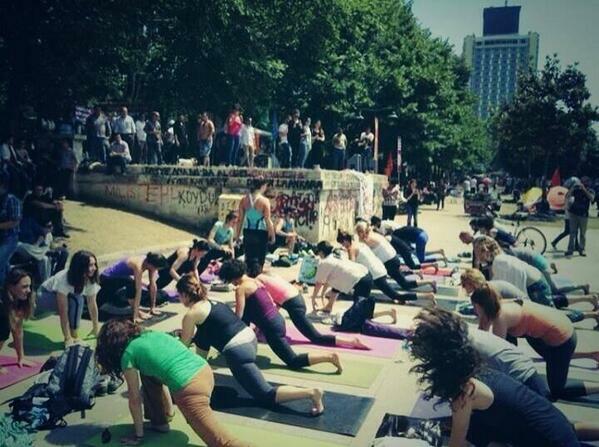 Protesters in Istanbul helping a dog affected by tear gas. There was even a bride and groom that marched in their wedding attire. 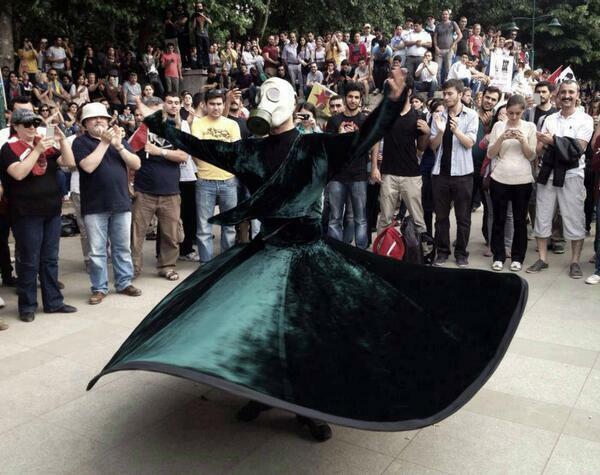 There is a whirling dervish in a gas mask. And a protester-organized SWAT team, complete with spray-painted anarchy riot shields. 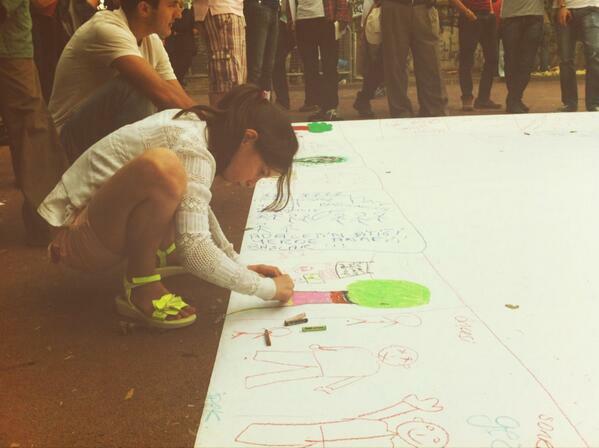 And protesters that are a little bit older. Now in its eighth day, at least 3,195 people have been injured and 700 people detained since last Friday, with no signs of slowing down.